One thing I love doing as a fan is thinking back about the times the Mets were in when I really started watching & getting into baseball. It was right after the strike & because there was so much talk about not only the strike but the replacement players or “scabs” that were asked to betray the players union & play for the MLB owners during this time. I’m pretty sure all of these replacement players were minor leaguers or not even affiliated to the MLB. 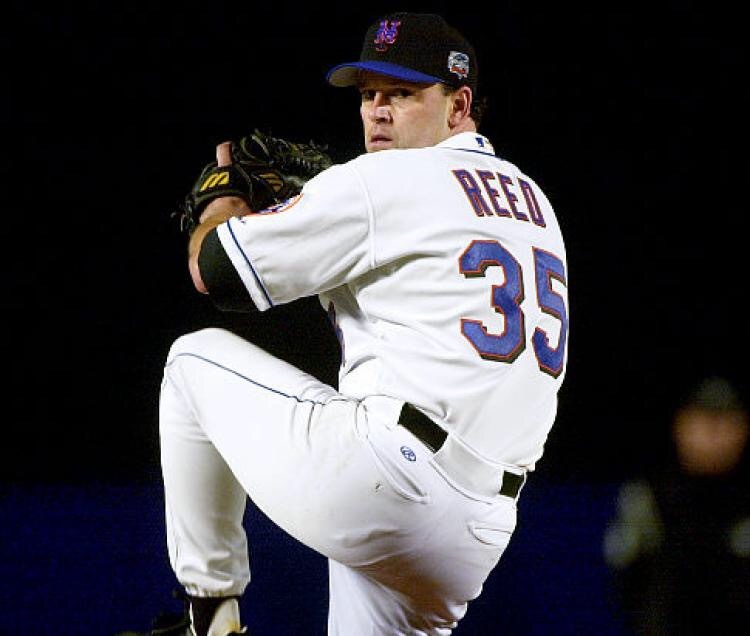 One player I’ve always heard about (Most probably the only) being a Mets fan was RHP Rick Reed. I originally remember hearing about players like Reed & even Reed himself, initially being ostracized amongst the professional baseball fraternity for crossing the lines & giving the the owners another option & alternative for them to continue to collect money. While players that crossed over were never really supposed to amount to much, Rick Reed very much looked like he would be the next player to “come & go” before the strike was even a topic of discussion let alone before it ever went in effect. He was a 26th round draft pick by the Pittsburgh Pirates in 1986 & spent several years in the minors while only getting a few looks in the bigs. After everything was settled between the MLBPA & the Owners, Reed would find himself playing for the Reds in real MLB games. After going 8-4 with a 3.17 ERA for Cincinnati’s AAA ball club he got the call to make his debut for the Reds & threw 6 1/3’s innings of no hit ball vs the Chicago Cubs which was eventually broken up by the defensive wiz Mark Grace. After having a crummy remainder of the 95 season, Reed would file for free agency & sign with the Mets in 1996, where he spent the season pitching for AAA affiliate, the Norfolk Tides without a call up to the majors. In 1997, Reed would make a late breakthrough in his career as he went 13-9 for the Mets & finishing sixth in the NL with a 2.89 ERA. In his 31 starts he pitched 208.1 innings while striking out 113 batters but having a great WHIP at 1.04 & opponents only hitting a meek a .239 against him. 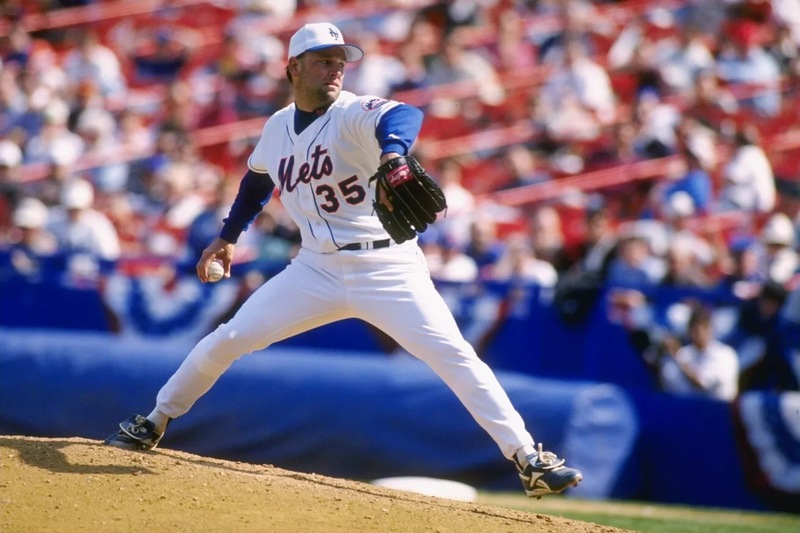 In 1998, Rick Reed would continue to be a solid cog in the Mets rotation as he ended the year with a 16-11 record after going 212.1 innings raising his K rate, stringing out 153 batters. He did end up having a higher ERA as was to be expected at 3.48 but still being above average amongst the steroid era. One thing you won’t see in Reed’s standard statistics is that he threw in between 88-91 MPH’s fastball & had the 2nd best 2 seamer I’ve seen after now HoF’er Greg Maddox. After posting 2 seasons where Reed went 11-5, in the middle of 2001 while having an 8-6 record, the Mets made an offensive upgrade by trading Reed to Minnesota Twins for OF’er Matt Lawton. After finishing 12-12 that season, Reed had a solid 2002 season going 15-7 with a 3.78 ERA however he would call it quits after going 6-12 with a 5.07 ERA in 2003. In his tenure with the Mets, Reed went 59-36 with a 3.66 ERA in his 4 1/2 years while wearing the “Orange & Blue” & went to the all-star game in 1998 & 2001 also being dubbed the “poor mans Greg Maddox”. In his career, Reed left the game with a respectable 93-76 record with a 4.03 ERA.Rest in Paradise, Hank. Next Should the Mets look into Wieters?